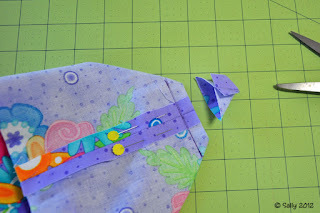 Have you ever worked on a project with points that created a big bump where all of the seams came together? 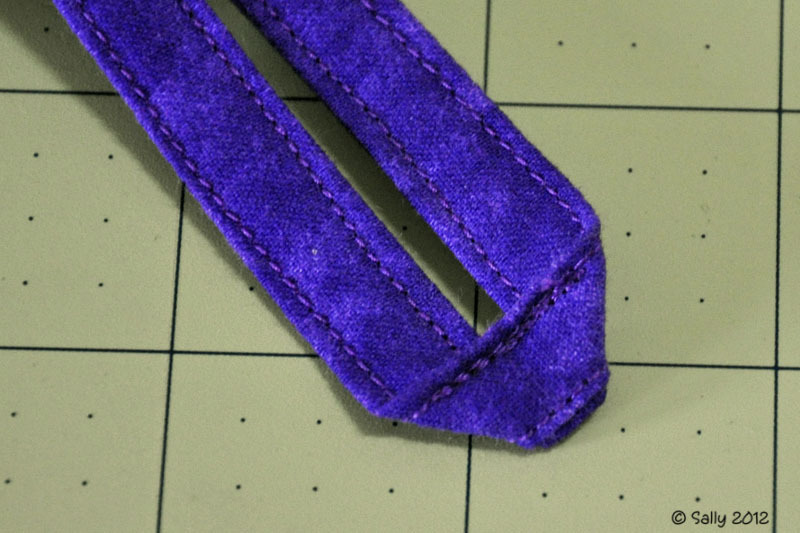 Or maybe your seams didn't align properly? Let me share a neat little tool to help you deal with this very issue. 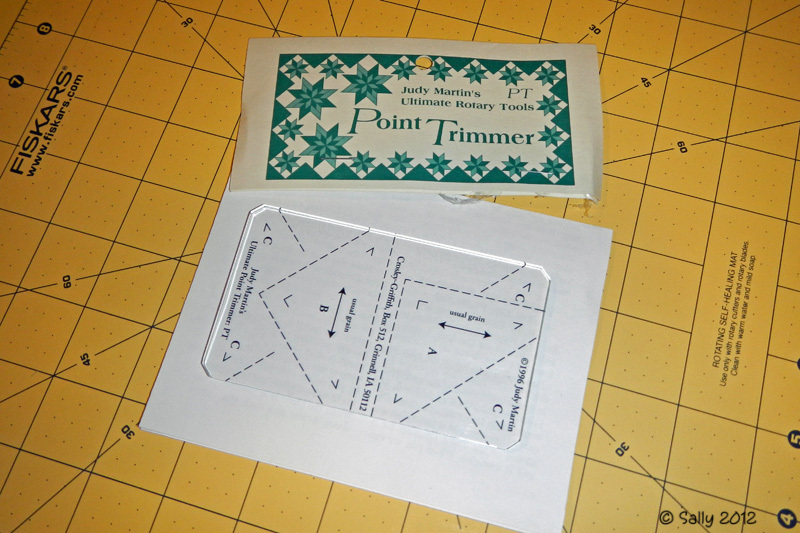 It is Judy Martin's Point Trimmer. 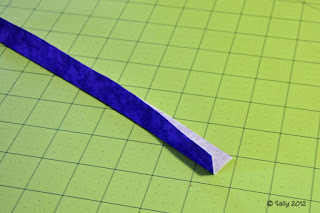 This handy dandy easy-to-use inexpensive tool helps to trim those corners thereby reducing bulk and making aligning those seams so much easier. My local quilt shop had an open house a few weeks ago and this was one of the demos. I saw this in the shop previously, but really didn't understand what it was used for until I watched the demo. 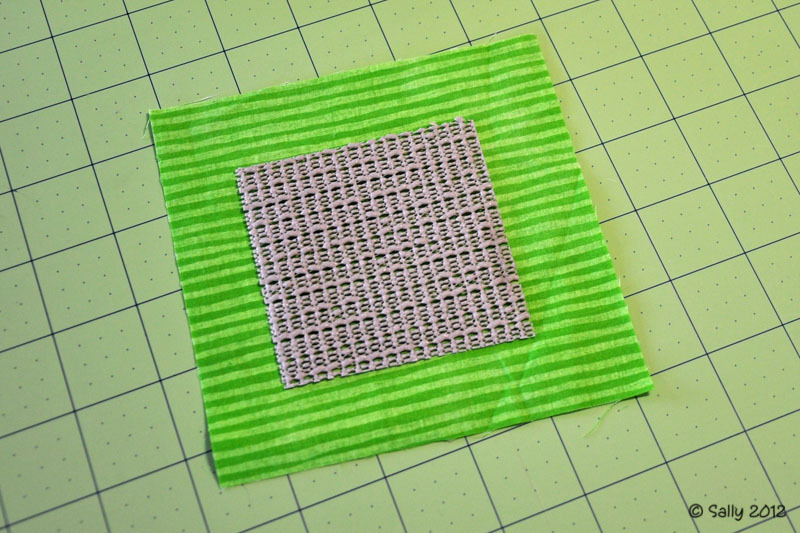 Judy Martin also has a nice video that explains the use. 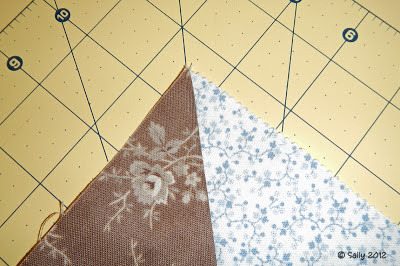 I am working on a quilt top with pinwheels so I know being able to trim my points will help me as well. 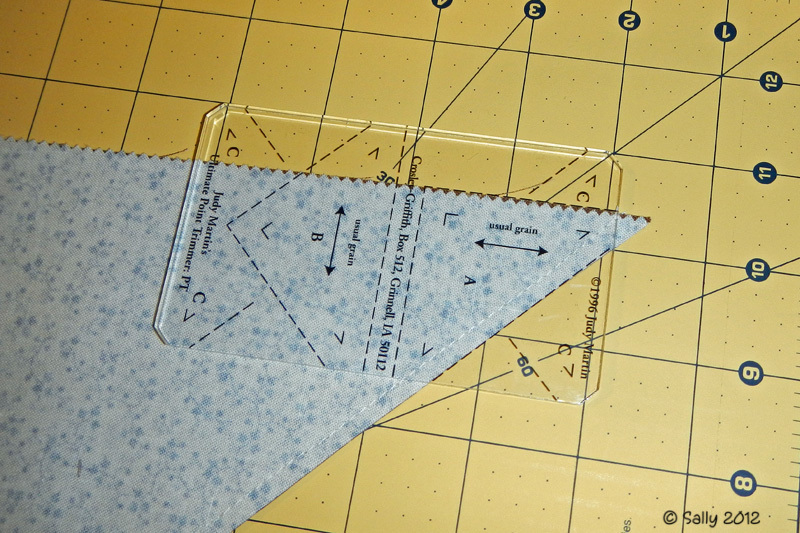 I started with a layer cake that I am getting two triangles out of each pre-cut piece. 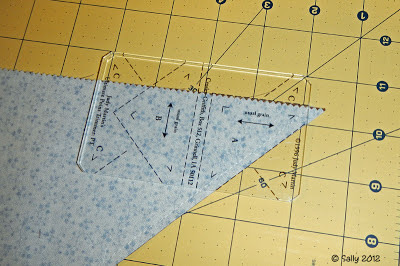 Although I am trimming post-sewing because of how I did my triangles (sew first, cut in half second), it still removes the dog ears I would have had once I press the triangle open. 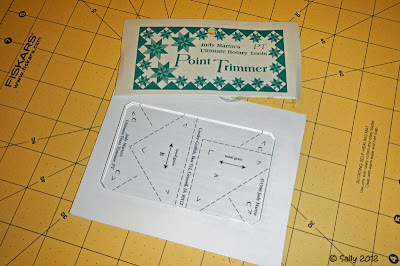 Go pick up one of these Point Trimmers to add to your quilting tools. I am not letting living in a hotel keep me from my quilting. Nosiree! Because I do leave the hotel and go home for a couple of days every other week, I needed a lightweight machine to lug back and forth. No, I don't take it home with me, but I do leave it at the office for safekeeping on the days I am gone. 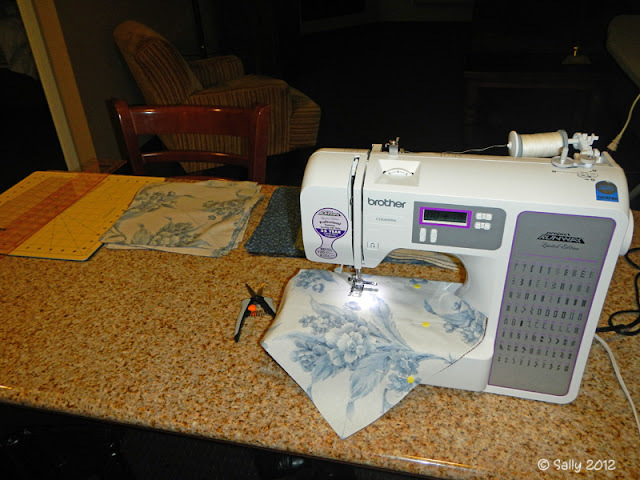 I ended up buying another Brother machine since my primary machine at home is a Brother. This way I can use the same bobbins and feet on both machines. This newest Brother will eventually come home with me and I will use it to go to Open Sew and classes at my local quilt shop. In the meantime, I am busy working on my Christmas projects while in Minnesota. Luckily for me, my suite has a nice long counter-top that is perfect for setting up my machine and having work space to boot. 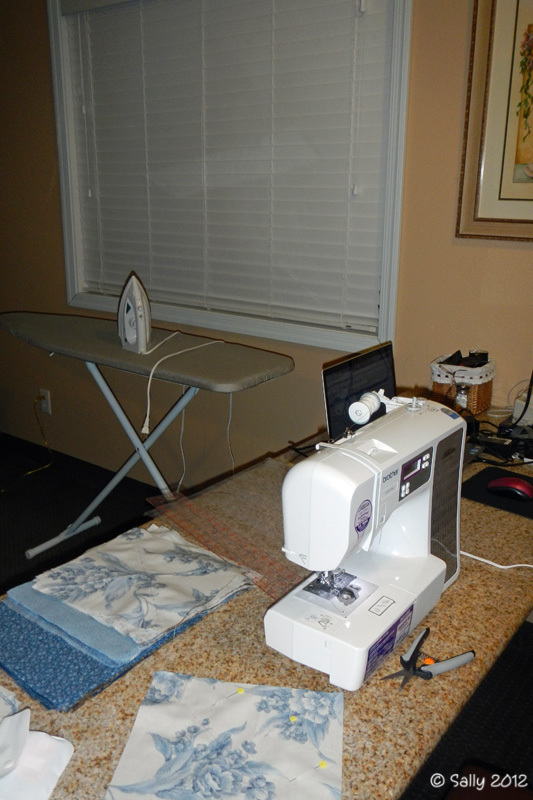 Redneck Quilting - Hotel Style! Having a sewing machine sure makes hotel life much easier to bear. I am getting lots of practice in with the Hinterberg quilt frame. I've completed the quilting on a lap size quilt for my mother, a throw size quilt for one of my granddaughters, and a wall hanging that my mother pieced. the wall hanging was definitely a challenge. Three different quilt motifs -- stippling, a free-form half flower, and then my first attempt at doing feathers. 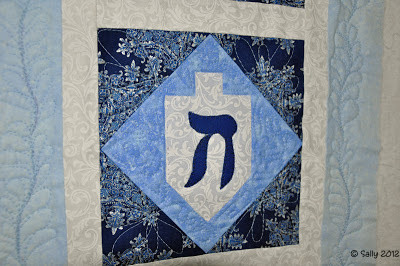 I also had to do blanket stitches on my other machine for the appliques. While the wall hanging is far from being perfect, overall I was satisfied with the finished product. Hey, its good practice. 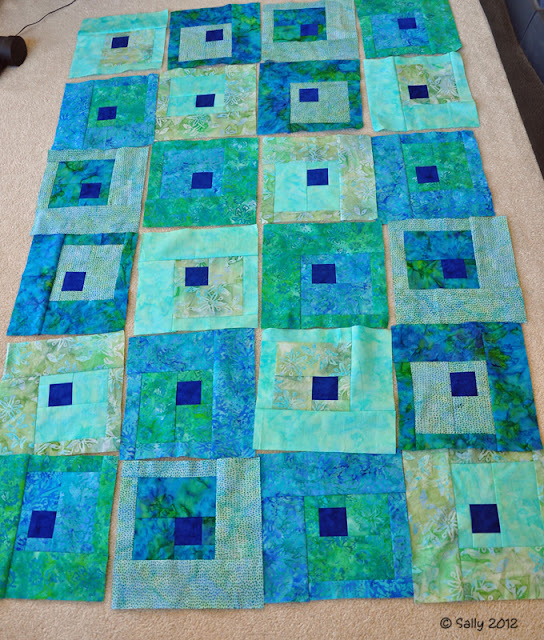 If I don't keep trying and learning, what's the point of having a quilting frame? When I bought the used Hinterberg frame, it came with six foot poles. Sounds big enough, right? Nope. 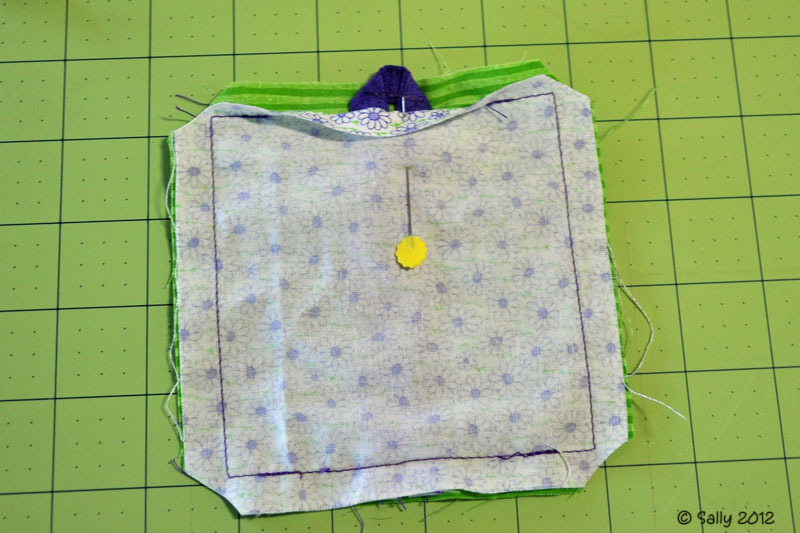 Even with doing a lap size quilt, I had issues with having enough space to quilt all the way across the top and still be able to access the drop in bobbin on my machine. To remedy this problem, I bought ten footers to replace the sixes. The poles are EMT thin wall conduit used for electrical installations. 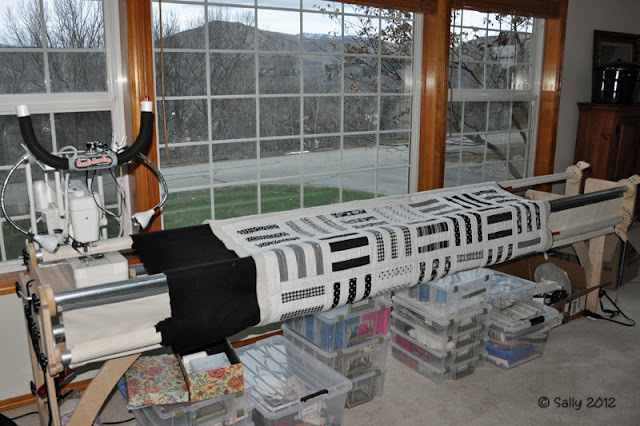 After a bit of prep work including increasing my leader cloth widths and re-leveling the frame, I now have plenty of space to load larger quilts. I have also added 2 LED clamp on lights to give me even more light. What a difference they make! Especially with the grayer wintery days and shorter daylight hours. I have new ball bearings for the carriage on order along with thrust bearings to make things easier when quilting. I will be able to turn the poles easier without having to loosen the knobs on the ends every time I advance the quilt. The next thing I want to do is to add Bower lifts. This will make raising the poles easier and faster than the current system on the frame. The quilt you see loaded on the frame is one my mother pieced for one of the grandchildren. I am doing the quilting of it. It has a cotton top, a layer of thin batting, and black fleece backing. 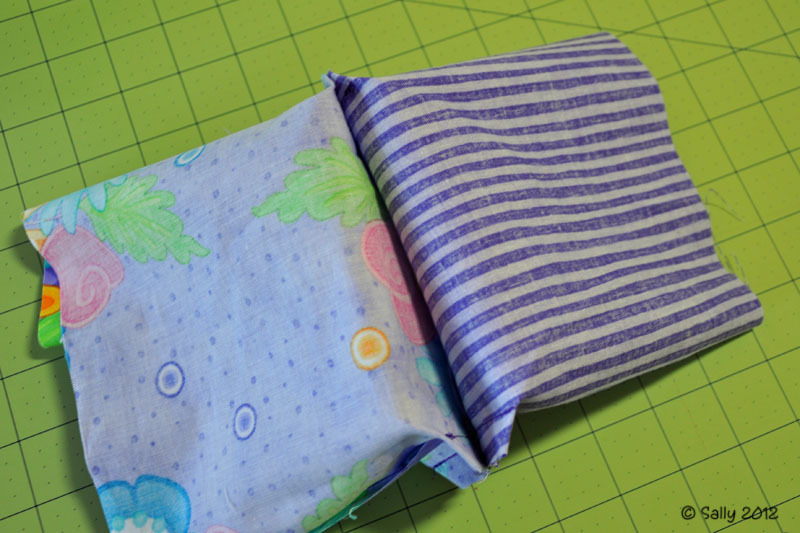 This is a first for me and the overall quilting went better than I expected. 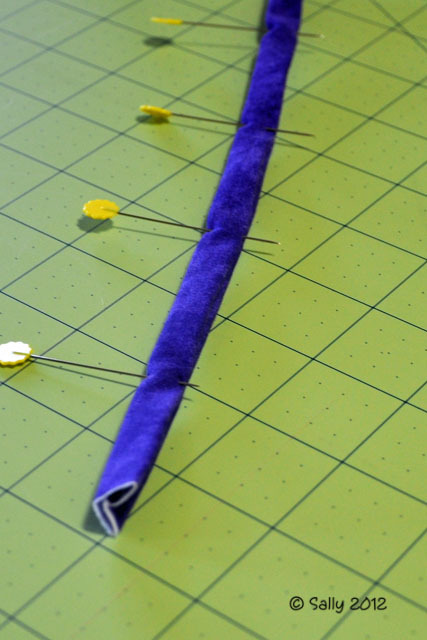 One thing I quickly discovered when loading a quilt onto my quilting frame is the inordinate amount of pins required. Five, count 'em FIVE rows of pins an inch or so apart. I despised having to pin all those rows. I looked at different systems and decided to go with the Red Snappers method. 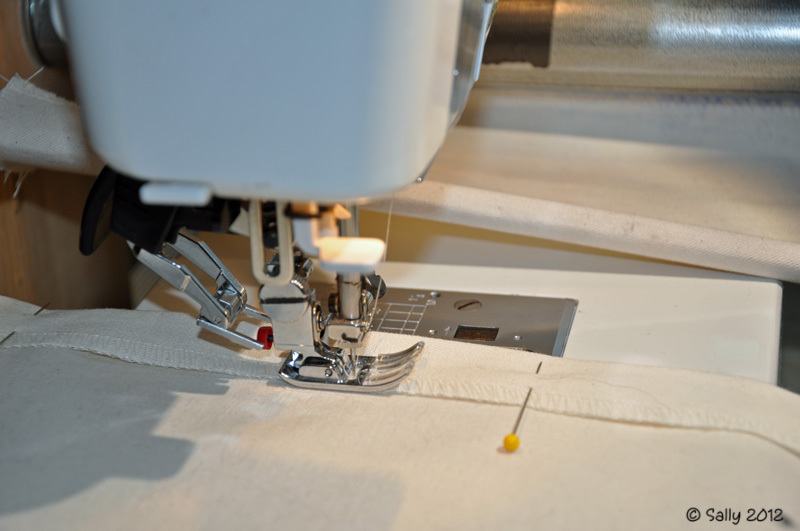 On your leader cloths, you sew a small casing and insert the hollow tubes. 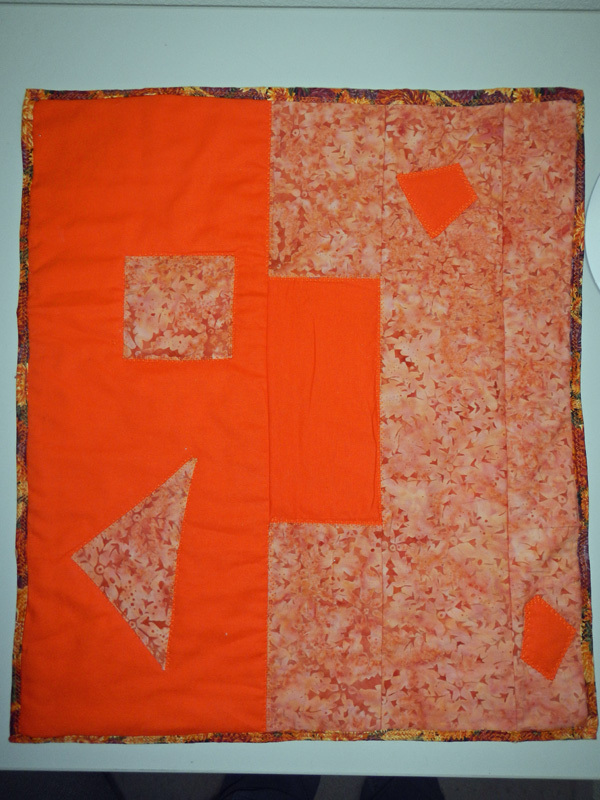 Then you load your quilt using the small clamps to start and putting the longer pieces across to hold the backing, batting and top. Is this my last row of pins? 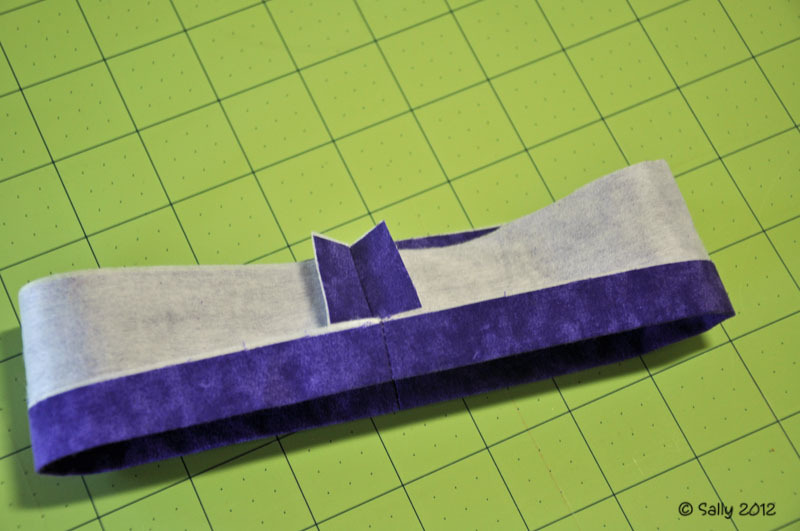 Sewing the casing on the leader cloth. I had to watch the video on the website to make sure I was doing things correctly. I couldn't figure out how to attach the top and batting to the back roller since the back Snapper already had the backing installed. Well duh! It was so easy to understand after watching the video. You use your machine and baste those layers across close to that back Snapper. Easy peasy!! In an earlier post, I shared the mini quilt I received in swap on the Quilting Board. I also participated in a Christmas Ornament Exchange. 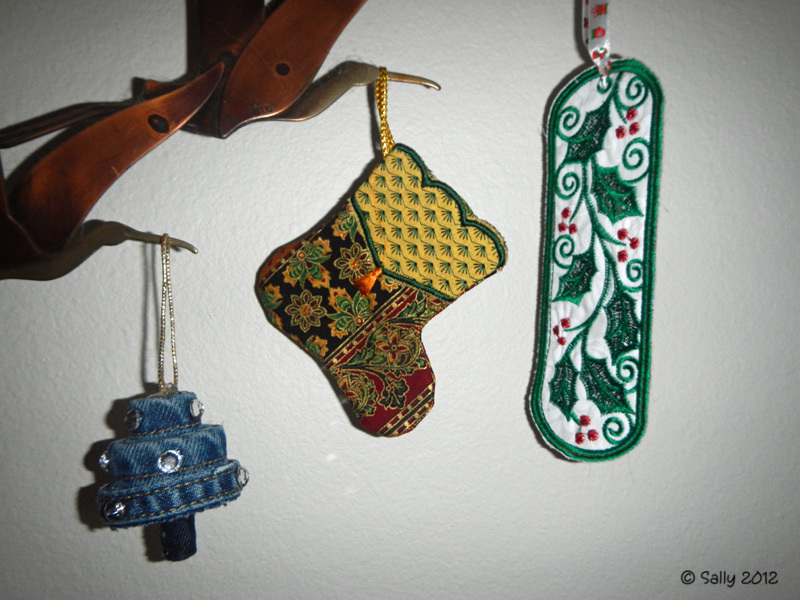 I signed up for two swaps with my handmade ornaments going to Kentucky and Oregon. Below are what I sent along with a few fat quarters and candy made in Washington. 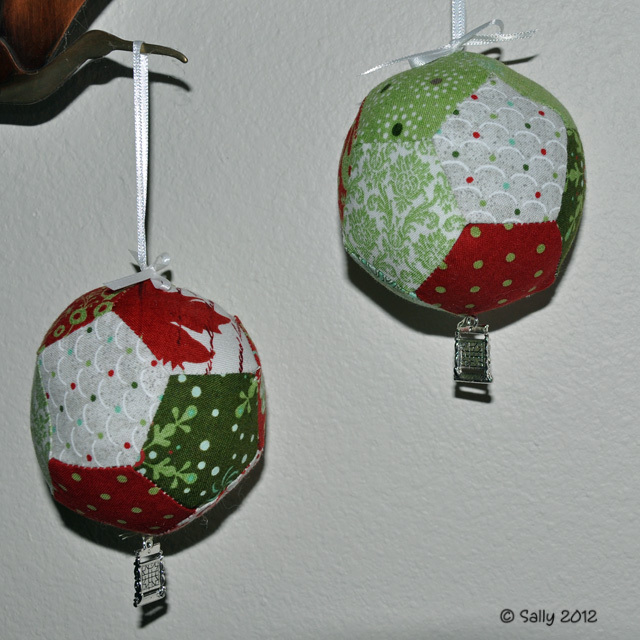 I found a pattern that was for paper piecing the ornaments. I tried it, had troubles (it's a learned skill that I haven't learned), ended up making a template to cut out the twelve pieces per ornament, and sewing together with 1/4" seams. 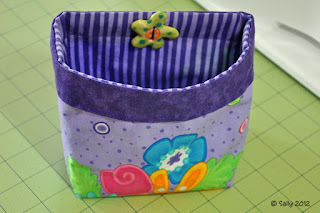 I stuffed them and included a little "I Love Quilting" charm to the bottom. I'm pleased with how they turned out. The ornaments I received in return came from Kentucky (yep, to the same lady I sent one), and the other came from New York. Sherry in Kentucky did the two embroidered ornaments on the rights and Dotty from New York made the clever denim tree. Participating in this exchange was so much fun. I can't wait to do it again next year! 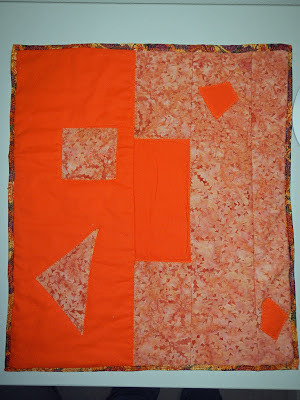 After I started doing more and more quilting, I signed up on the Quilting Board, an online forum of quilters. 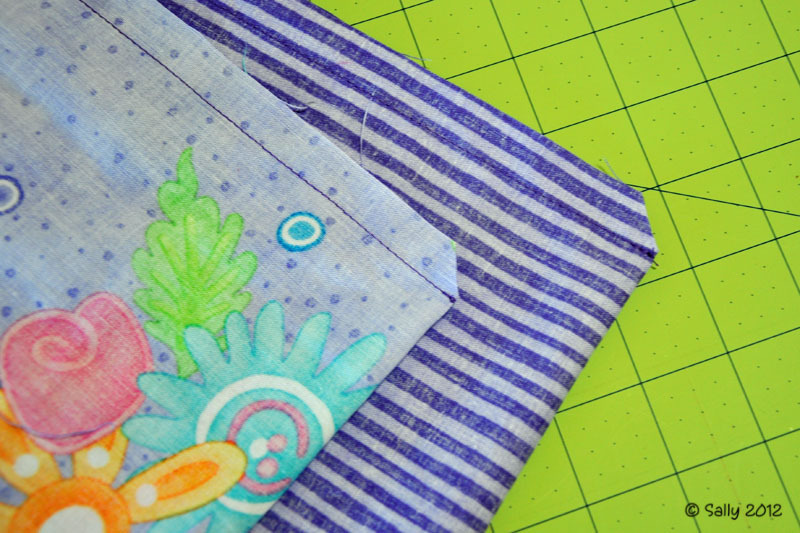 Participating in swaps or exchanges is a great way to "meet" other quilters. The very first swap I signed up was called "Modern Mini #2". The rules were simple. Make an 18" x 24" quilt to exchange with someone else. My swap partner was from Massachusetts and this is the mini she sent me. I have been on an orange kick this year, so the colors fit me perfectly. Back in mid-September, I came across a listing on craigslist that peaked my interest. It was for a Hinterberg quilt frame and Janome 6500 sewing machine combo for sale. 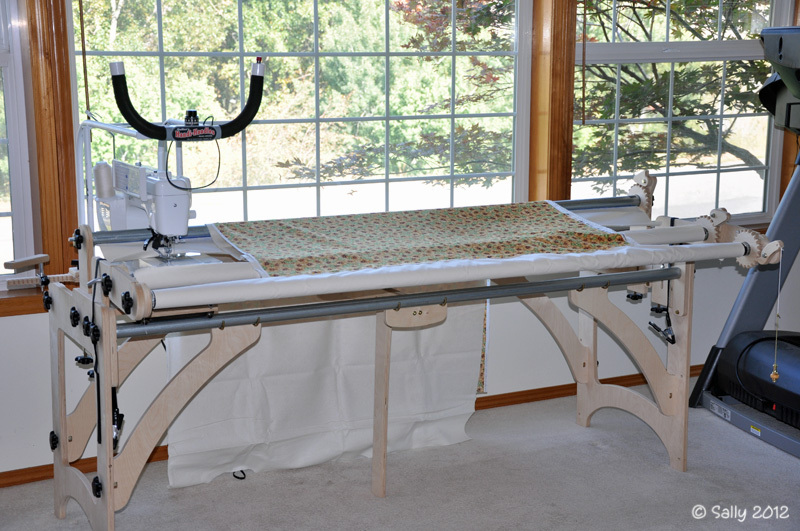 While not a longarm system, it is a good start for a home quilter. So I bought it! I signed up for two Yahoo user groups - one for the Hinterberg frame and another for the Janome. I posted on the Janome group asking a few questions about speed controllers. 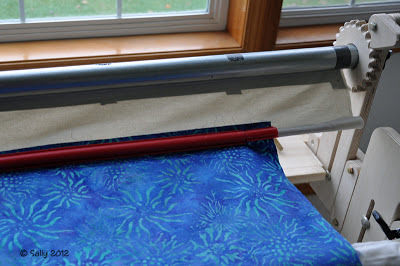 A wonderful lady from Wisconsin posted that she had a set of handles and mounting frame for the machine specifically matched to the Hinty frame. She had upgraded to another machine and these were in her attic. If I was interested in purchasing them, she would sell them to me. So I bought them! Here is my new frame set up in my living room. It currently has 6' poles on it but I can expand the frame up to 10 footers if I buy new poles and ends. I am still learning how to use it and I have a test quilt loaded on the frame. 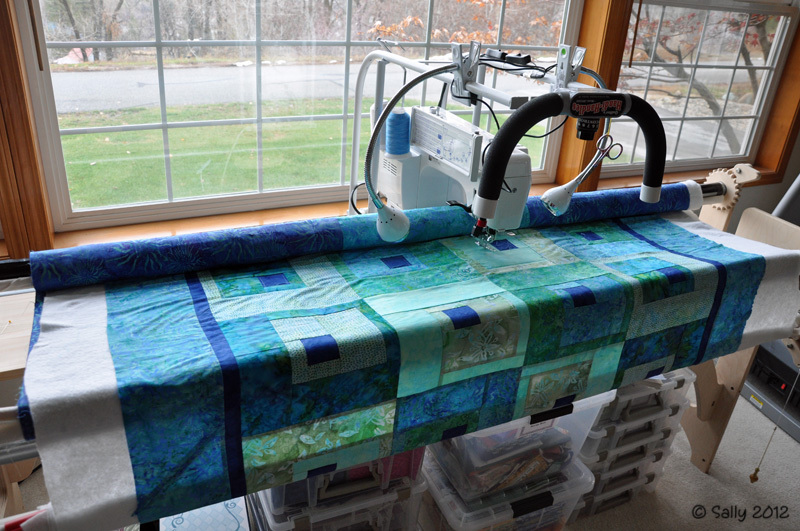 I was struggling trying to free motion quilt on my other machine and I know with lots of practice I will be able to quilt my own tops on my new system. 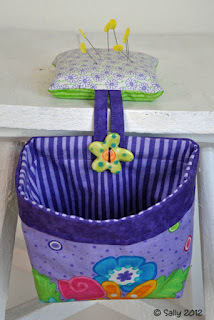 Since I last posted, I have been busy sewing especially once my job ended at the end of August. So I have lots to update over the next few days. 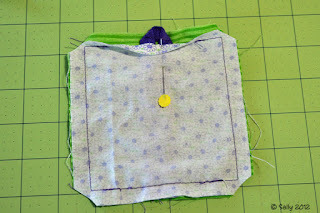 Here is a top I am piecing for a Christmas present. It will be throw size when complete. I am not turning twenty. That happened many years ago! But I am Turning Twenty with my latest project and it IS making my hair turn gray. Say what?! 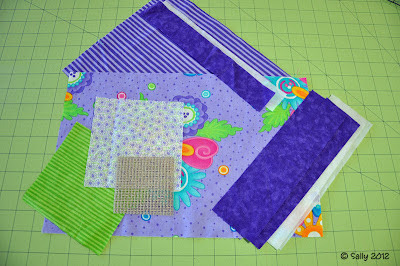 I've started on my Christmas projects and the first one is a quilt for the youngest granddaughter who is sixteen. Her favorite colors are purple and lime green. Quite the bold combo if you ask me. But those are the colors she likes. 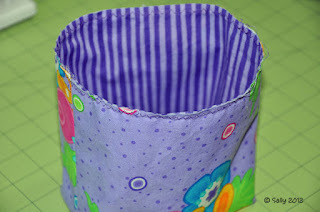 The pattern I chose is Turning Twenty by Tricia Cribbs. 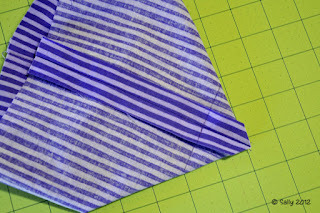 Its an easy pattern to cut and make. 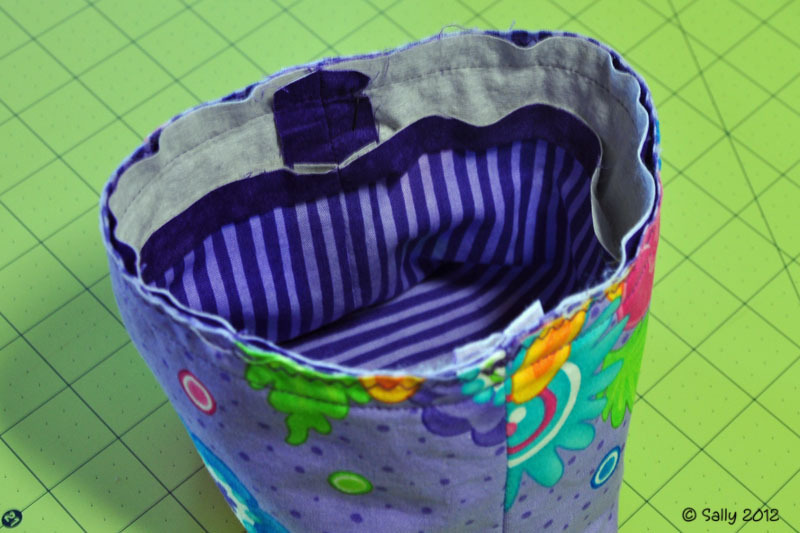 You just pick twenty different fat quarters and go to town on your quilt. I chose to do the twelve block layout rather than twenty. I wanted to make a lap quilt rather than a big one. 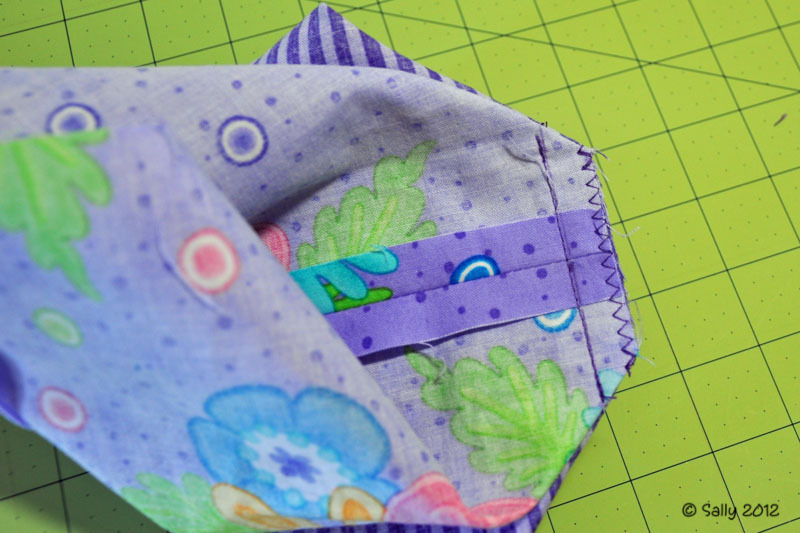 I picked out twelve fat quarters in different shades of purple, lime green and hot pink, all with a polka dot / circular pattern to the fabric and a coordinating flower print for the binding at my local quilt shop. 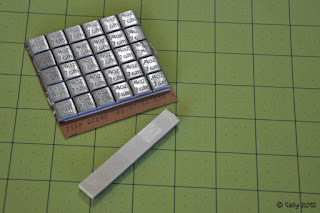 Cutting out the blocks took me less than an hour. There is very little waste and the instructions are well written and extremely easy to follow. Next I did a random color selection on the blocks to make an "A" and a "B" version and sewed them up in less than two hours. So then why is this causing my hair to turn gray when things seem to be going so well? When I started doing the layout of the blocks, I was just not happy with the way the colors were going together. The quilt top seemed bland. Can you imagine that with lime green and hot pink? Yes, I just wasn't feeling the love with it. I fired up my Electric Quilt 7 program and re-created the pattern. Then I scanned all twelve fabrics into the program and began to color the blocks on screen to see if I could get a more pleasing layout. I tried and tried and still no love for the quilt top. 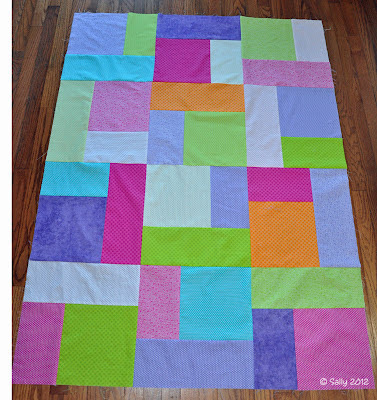 I decided the quilt needed some additional color to go with the purple, lime green and hot pink. 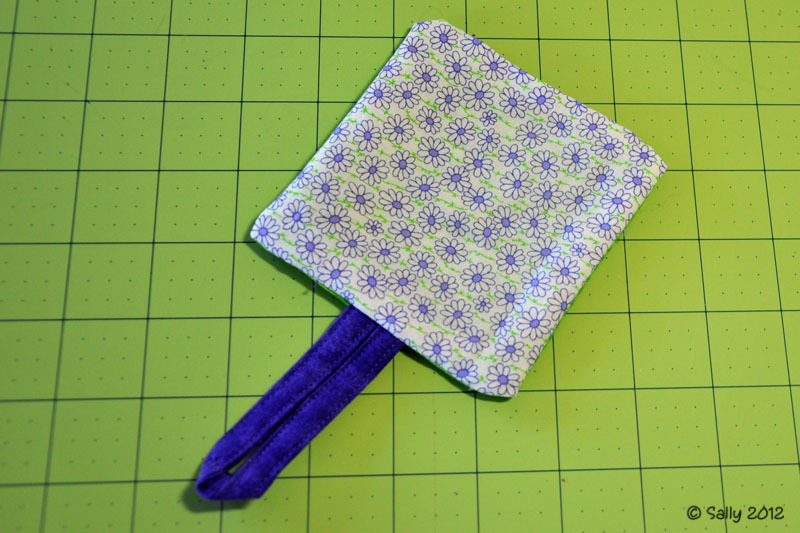 The flower print I was using for the binding also has bold aqua and bright orange in it and I would replace some of the white background polka dots with these. I also decided to add the optional six-inch border using the same flowered fabric to add even more wow factor. Back to the quilt shop for two more fat quarters and another 1-1/2 yards of flowers. I scanned the new fabrics in to EQ7 and played again with the color layout. I finally decided I didn't like how some of the blocks were arranged so I blew out the original Turning Twenty A/B pattern and created my own. I think the original block pattern is just fine if you are using twenty different fabrics, but the fabrics I was using for the twelve block layout wasn't cutting it. After an hour or so, I settled on how I wanted the colors and blocks positioned. 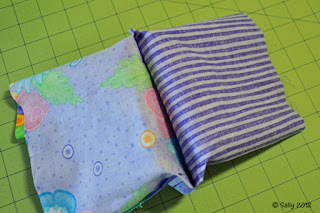 Only that meant I would have to rip out a majority of the seams in the blocks I sewed the day before. Oh well, it was worth the extra work for me. And here is what I have so far minus the border. It's got color now! 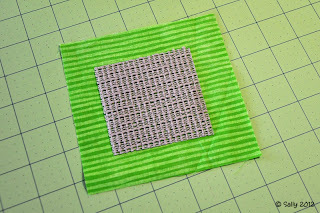 Speaking of borders, I was so intent on re-sewing my blocks together that I forgot I needed to add the small inside border strips to the outside edges before sewing the rows together. Duh! I will have to sew them on as a long strip separately. Once I finish the top, I will post an update with pictures. Until then, I'm off to the drugstore for Lady Clairol. Not too long ago, someone posted a desk for sale on our local computer bulletin board. Ten bucks was the sale price. I inquired about approximate dimensions and it was 24" deep by 36" wide, just about the same size as my new cutting mat. Perfect, I thought! So I bought it. The desk is super sturdy with one pull out shelf underneath. There was another pullout shelf at one time, but it was missing. And the desk has a few scratches. Hey, for ten bucks I am not complaining. I bought four caster wheels at Home Depot and installed them on the bottom of each leg. This gives me portability so I can move the new cutting table to wherever I want it. The casters lock in place, too. 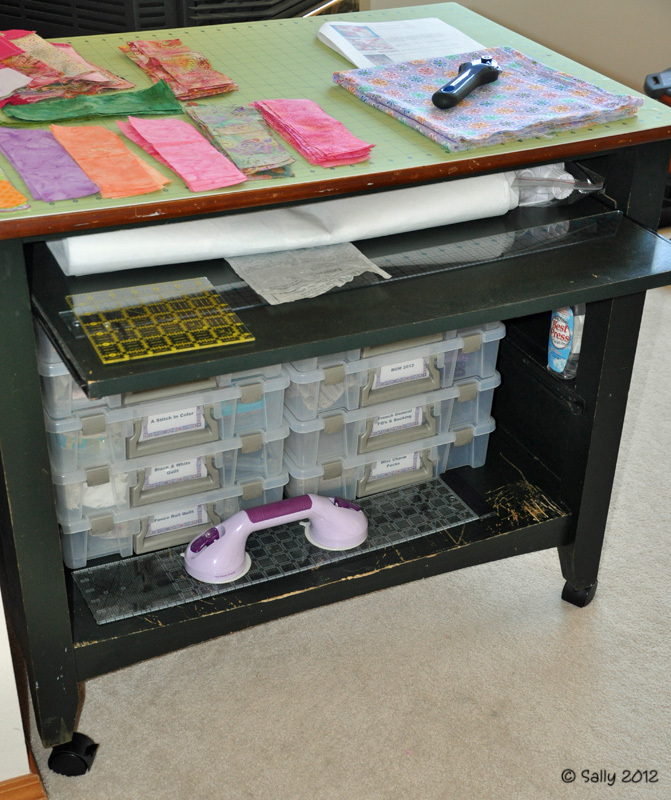 There is space underneath for several of my project boxes and room on the slide out shelf to store some of my rulers and rotary cutter. I am tickled with my re-purposed desk for under twenty dollars! 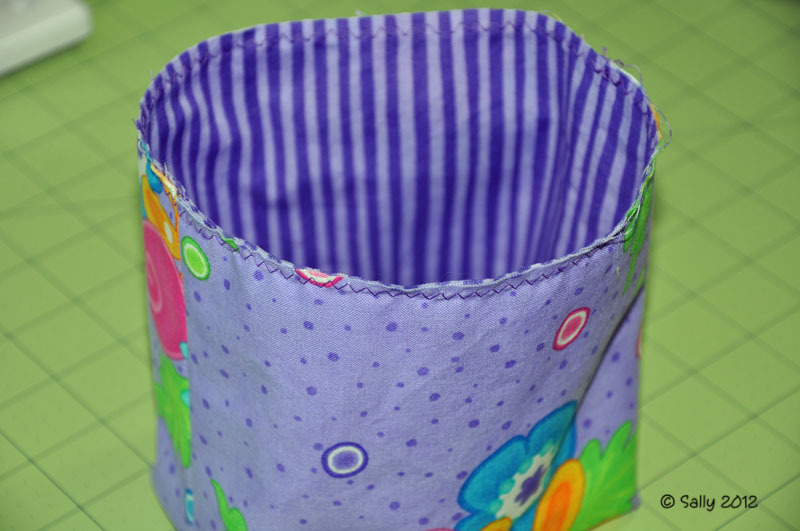 Quilting and Sewing will be coming to this site soon!